Cover lets its users check into a restaurant and never need to take out their wallet - when they're done, they can just leave and will be automatically charged. 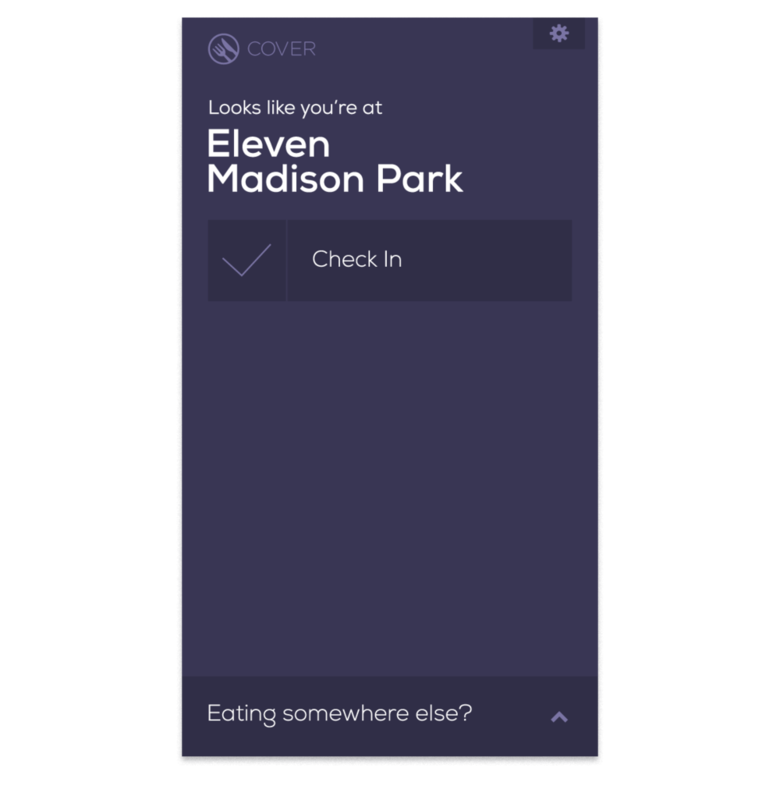 We focused on developing a signature language that minimized a user's time interacting with the app, even testing dozens of shades for their plum color to cast the most complimentary glow on a diner's face should they need to check the app at the table. RESPONSIBILITIES: Design Direction, Interaction Design.